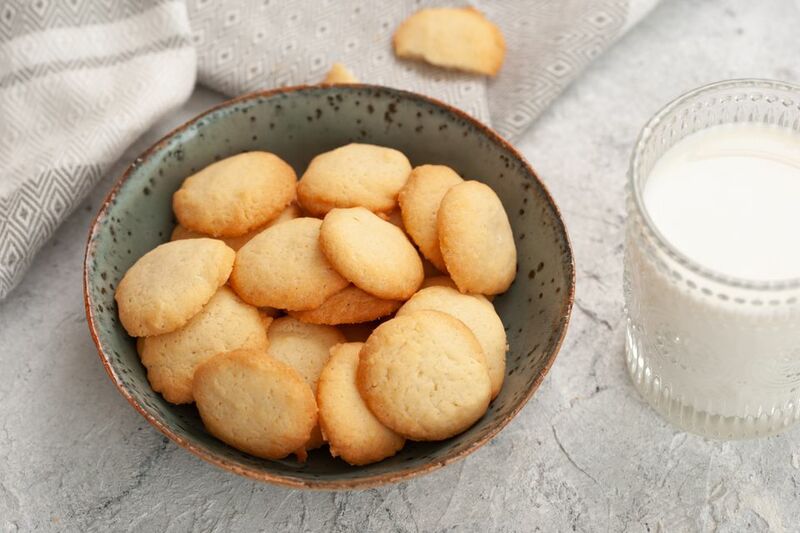 These vanilla-flavored butter cookies are baked until the edges are browned and crisp. Many butter cookie recipes instruct you to remove them from the oven while they are still pale blonde. In this instance, the browned edge adds another dimension to an already delicious treat. Grease cookie sheet pans or line them with parchment paper and set aside. In a medium bowl with an electric mixer, cream together the butter and sugar. Add vanilla and egg and beat until light. Drop by half-teaspoonfuls onto prepared pans. Bake for about 10 minutes or until the edges are golden brown. Serve and enjoy! To keep these butter cookies crispy, store in an airtight container.